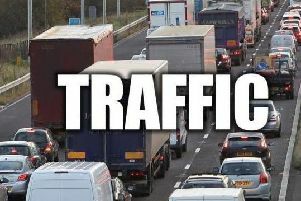 Motorists have faced severe delays on the M62 this morning due to a collision on the westbound carriageway. The collision happened between junction 27 at Gildersome and junction 26 at Chain Bar. All lanes have now reopened but there is congestion back to junction 30 at Rothwell. Traffic is also slow on the eastbound side past the scene. Drivers are also facing congestion between junction 23 and junction 26 eastbound.